I only made a new thread to get the attention of people. I will delete it when it’s not needed. This section of rccrawler seems a bit dead for the xl. So, in the BHB mod, he’s cutting approximately 1mm out of that step. Correct? Now that I have these parts actually in my hands the pinion issue makes way more sense and I’m wondering about how much is coming off in that mod. I measured just eye balling it and want to confirm. Last edited by Nastyn8; 09-10-2018 at 10:14 AM. I’m wondering so I know how much shim to order to make up for it. There is no answer for you here, the only thing you can do is to follow the instructions, grind off some, then use the shim to set the right gear fit but I followed his instructions for the mod and didn't need any shims. The hard part is that it's all based on how much to take off and how the fit is after you do the mod. Once you get it right, it'll work for a long time. I made a spacer for mine so it doesn't have shims, I did it a couple of years ago when they swapped over to the new gear sets. I don't remember the amount so why not order a few extra and have them on hand? It's not really that complicated of a process. Ah gotcha. Yea I ordered extra. I’ve just been getting parts and lubes together for the build. Still prepping at the moment for the diffs. Parts come in today. but I built the cage and shocks so far. @14:22 on this video I give a pretty good breakdown. https://youtu.be/yQCVe8W_6ag basically remove the haunch until the back of the teeth are 90 degrees with the shank. You can adjust the mesh (if needed) by adding a .1 or .02 shim in front of the first bearing but usually not needed. 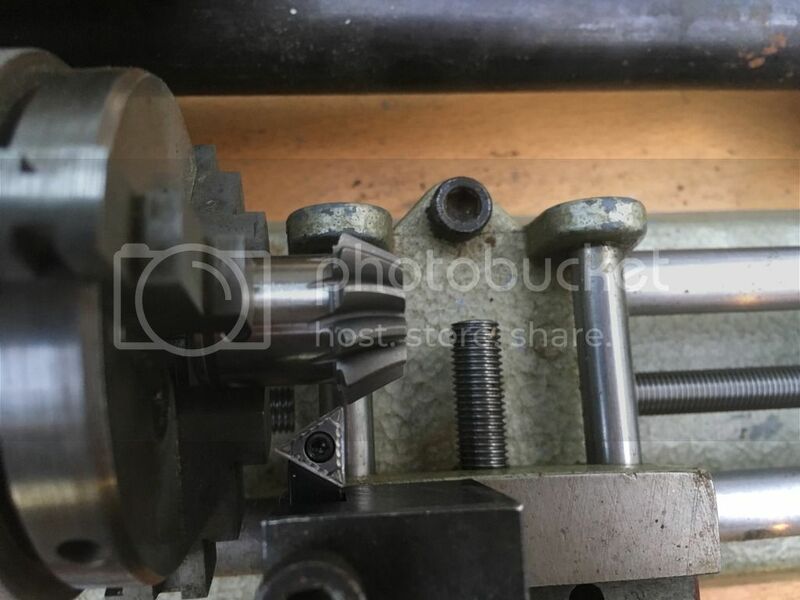 The important step is making sure the bearing pack is the same thickness as a factory arrangement so the three retaining screws don’t create a bind by compressing the bearing pack. The addition shims should be added on THE OUTSIDE OF THE OUTTER BEARING in between the C-clip this removes any play and accounts for the pinion receding for proper mesh. Take in account aftermarket axles with 1mm wider bearings will have a different shim. Last edited by BarHarborBasher; 09-14-2018 at 06:19 PM. I’m all on it now. I put it together stock just so I could feel it. Then experimented with three bearings and no shim like it was cut away just to feel mesh reduction. Cut it out so you have room to back it up. (As close to 90 degrees behind the teeth as possible) Shim to match housing depth. Shim by the three screws (if needed) Then shim by the c clip to make up slop to the c clip. I’ll be using a small lathe to do it. Luckily my dad has it from his dad. I don’t remember the brand but it’s a decent one that’s table top size. Last edited by Nastyn8; 09-15-2018 at 01:35 AM. If you want to match housing depth measurement, you shim with three bearings. 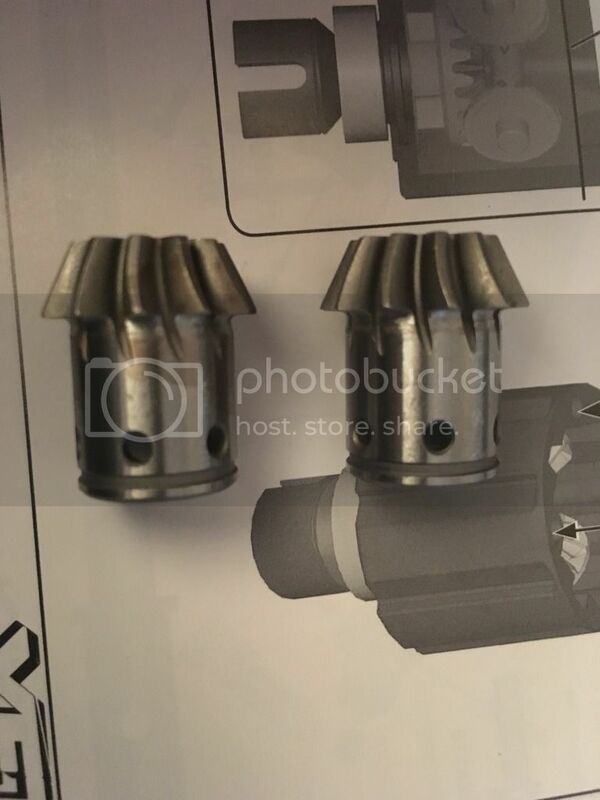 (About .8 mm) And you want to make sure you are filling that housing depth so the 3 screws do there job (minimal pinion float) you have to cut it. Only way to back it up. I think you might have got lucky with yours Tzicul. And other people probly would too. Maybe. However I changed a few rear axels until now. What I know for sure is mine is running without any problems for two years already probably. I definitely believe it. I just want to make sure housing measurement is as close as possible. So I have to cut it to have room to play with the mesh. This little lathe is awesome. Got it done and installed. Any advice for amount of play? I feel some and can reduce it even smaller with shims by the three screws, but of course I don’t want to go too close. I’ll be right back where it started. I know it’s not exact and not the same for everyone, but I just want to see about any experiences. And this was a pic before I cut it. The lathe is actually pretty tiny and didn’t quite have the testicular fortitude to do it in a timely manner. So I did it with the dremel but mounted in the lathe. Last edited by Nastyn8; 09-16-2018 at 12:11 AM. Last edited by BarHarborBasher; 09-16-2018 at 12:06 PM. I cut to 90. I forgot to take a pic. And I get the play removal by the c clip. (This is for pinion float I believe) I’m just wondering about how after I put it together to test I feel the small back and forth click of the teeth between the ring and pinion. If I add a shim by the 3 screws that little click is smaller, but still there. I figure I may be splitting teeth here, but I just wondered about that little click. I know binding/rubbing is the bad part, but I know at work we want play between teeth, but we make it as small as possible. And just make sure it’s still there. Also, you’re rigs are awesome. I like the xl bomber you did too. I can’t wait to finish mine. I’ve only had my wraith up until now. Last edited by Nastyn8; 09-16-2018 at 05:25 PM. I know from the way yours and others who have done it have worked so well I should be good to go. Last edited by Nastyn8; 09-16-2018 at 05:32 PM. By the way, you said 8s. In an xl? What’s your setup for that? Sounds cool.